Quartix is always finding new ways for the system to meet your individual needs. 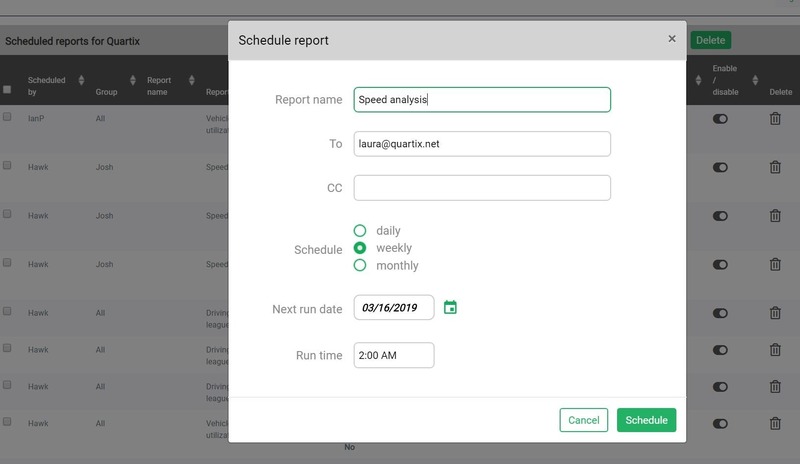 To that end, we recently added scheduling capability to several of our most popular reports, the driving style league table, vehicle utilization and our speed analysis reports. 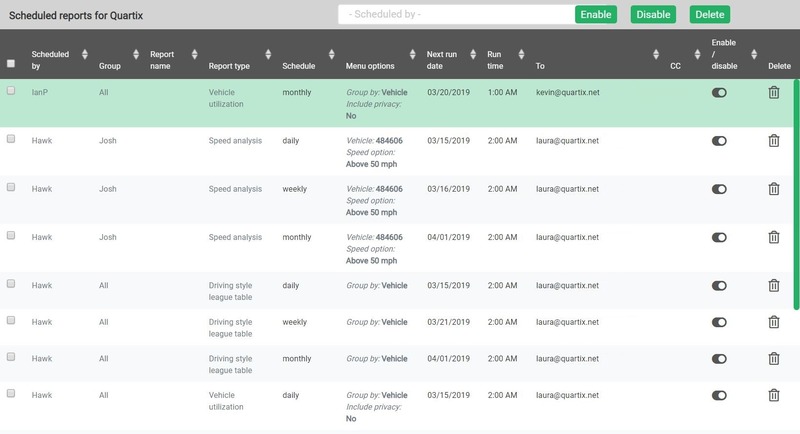 The type of report – You can select from the driving style league table, vehicle utilization or speed analysis. 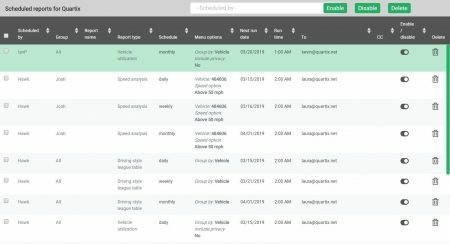 We believe you should decide when and how you receive your fleet reports. Scheduling is just the latest way we are customizing the Quartix system to put you in charge of your data.